Climate change: It's not just about rising oceans. 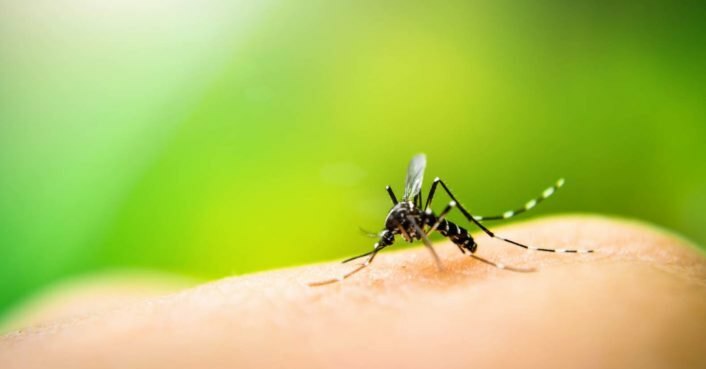 According to a new study by the University of East Anglia (UEA), action against climate change could help prevent millions of dengue fever cases. If we limit global warming to 1.5 degrees Celsius – an objective of the Paris Agreement – we could avoid around 3.3 million cases of tropical disease each year in the Caribbean and Latin America alone. There are approximately 54 million cases of dengue fever that are caused by a mosquito virus in the Caribbean and Latin America each year, infecting about 390 million people worldwide. But by 2050, in a warming scenario of 3.7 degrees Celsius, this number could increase by 7.5 million additional cases per year. While dengue fever is rarely fatal, there is no specific treatment. Symptoms include headache, muscle and joint pain, and fever. Related: Climate change could reverse the decline in child mortality over the past 25 years  But if we act against global warming, we could prevent millions of cases, according to UEA research, which focused on computer modeling and clinical and laboratory validation Based on reports of dengue fever in Latin America. Warming to two degrees Celsius could reduce the number of cases by 2.8 million per year by 2100, and warming to 1.5 degrees Celsius could mean an additional drop of half a million cases per year. Leading researcher Felipe Colón-González of UEA said: "While it is acknowledged that limiting warming to 1.5 degrees Celsius would have benefits for human health, the magnitude of these benefits is usually not quantified the first study that shows that reducing global warming from two degrees Celsius to 1.5 degrees Celsius could have important health benefits. " Co-author Carlos Peres of the UEA said," Our economic projections of regional health care costs Climate change shows that developing countries will bear the brunt of expanding arbovirus infections, so a preventive strategy to reduce greenhouse gas emissions sooner rather than later is the most cost-effective policy. " The Journal Proceedings of the National Academy of Sciences published the study this week; Researchers from Universidade do Estado de Mato Grosso contributed in Brazil.